Yasser Arafat’s estate was worth almost one billion dollars by the time he had died. It wasn’t because he was an enterprising capitalist. However, he did manage to take a substantial cut of money from the billions of dollars that the Western countries of Europe and the United States gave since he became the leader of the PLO. This past week, the United States sent another forty-seven million dollars to Gaza. When a people like the Gazan Hamas Jihadists resort to using children as human shields, why should we think that the Hamas leadership will ethically care how they spend the money? Yet, for all the suffering that has taken place in Gaza, they have a most unusual and surprising accomplishment: there are over 1700 millionaires living in Gaza. How did they do it? Was it through American Express or Schwab, or E-trade investments made in the stock market? In a country that has no natural goods to sell, they have made money through the promotion of terror. Yes, terrorism pays big dividends—even if it means the people must and will continue to suffer for the near future. 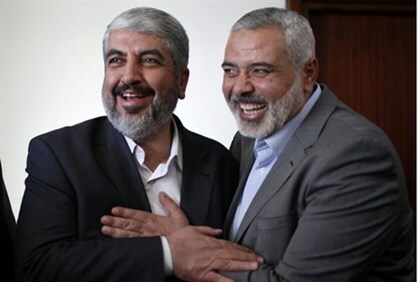 Mahmoud Abbas has declared, “Hamas is a corrupt leadership that doesn’t represent the Palestinian people.” Most of the Gazan Palestinians certainly agree with this statement. Unfortunately, they live in a mobocracy where the rule of thugs is supreme. Worst of all, the West continues to keep these people in power. One might think the West would not simply send a blank check to the thieves who are robbing their own people. In many ways, the West has created this problem through their cowardice and stupidity. What the Palestinians need is not sympathy; they need tough love. It is time for the people to take complete responsibility for their collective misery. Israel has a golden opportunity to help create a new future for the people of Gaza. Let us do our part in telling the President, Israel must finish the job it has started. Otherwise, the next Hamas missiles hurling into Israel will be nuclear. This time is a moment to seize a victory and put an end to the thugs who exploit their own people in a manner that would make Genghis Khan blush. Gideon Alon,; Amira Hass (14 August 2002). “MI chief: terror groups trying hard to pull off mega-attack”. Haaretz. Retrieved 21 July 2007.